Sharon John, 54, was appointed to the Board of Directors on June 3, 2013 in connection with her employment as Chief Executive Officer and Chief President Bear of the Company. From January 2010 through May 2013, Ms. John served as President of Stride Rite Children’s Group LLC, a division of Wolverine World Wide, Inc., which designs and markets footwear for children. From 2002 through 2009, she held positions of broadened portfolio and increased responsibility at Hasbro, Inc., a multinational toy and board game company, including as General Manager & Senior Vice President of its U.S. Toy Division from 2006 to 2008 and General Manager & Senior Vice President of its Global Preschool unit from June 2008 through 2009. Ms. John also founded and served as Chief Executive Officer of Checkerboard Toys, served as Vice President, U.S. Toy Division with VTech Industries, Inc., and served in a range of roles at Mattel, Inc. She started her career in advertising, overseeing accounts such as Hershey’s and the Snickers/M&M Mars business. Ms. John serves on the Board of Directors of Jack in the Box Inc., a publicly traded restaurant company. Ms. John holds a Bachelor of Science Degree in Communications from the University of Tennessee at Knoxville and a Master of Business Administration from Columbia University. She resides in St. Louis, Missouri with her husband and three children. In her various executive management positions, Ms. John gained extensive experience in all aspects of retail branding, including children's brands, marketing to moms and kids, and licensing, product development and innovation expertise. 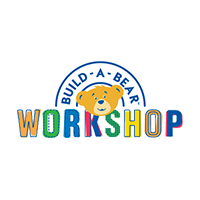 With this background, Ms. John provides Build-A-Bear Workshop with highly relevant and valuable insights and perspectives in leading businesses, strategic planning, brand building, marketing, licensing, merchandising, and retail operations.